Any extreme sports enthusiast will tell you that getting out on the water and pushing your body to the limits, can be just as exhilarating as abseiling off a mountain. If you’re off to visit the sunny shores of Cape Town, South Africa, you have an opportunity to experience both. However our focus today is on kayaking. This fast-paced watersport requires you to give your all physically but you’ll also have the opportunity to experience your surroundings, something that’s not always common with most extreme sports. The scenic wonders of False Bay (Cape Town’s hottest kayaking spot) are simply breathtaking, incorporating mountain and ocean views. If you’re lucky, you’ll also get the chance to see some of the indigenous aquatic life. However, this is not for the faint hearted. The warm waters are a natural migration ground for sharks and whales, making every trip an adventure. Even better? You can get out on the water any day of the year as long as there isn’t a storm. Many watersport companies that operate in the area do so throughout the year. This way you’ll be able to hit some big waves and even kayak in the rain. The temperate climate – Cape Town is sunny for at least 6 months of the year, however, the climate is quite temperate for most travelers. You won’t need experience – If you’ve never done it before or are hoping to introduce a friend to the sport, this is the perfect option for you. 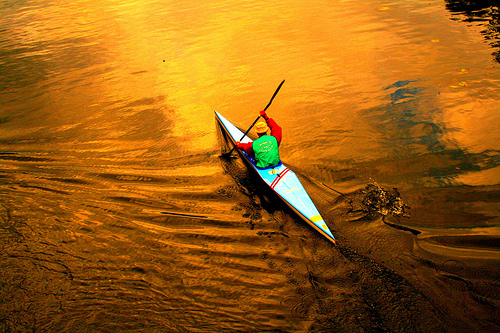 You won’t need previous experience as guides will teach you how to kayak safely. Knowledgeable guides – All guides in Cape Town are accredited and skilled in their sport. It’s practically a way of life in the area so you know you’ll get the very best in knowledge and experience. 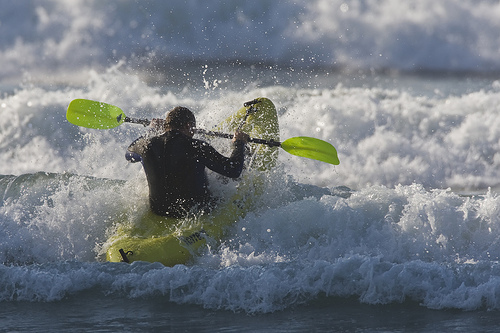 Maximum stability – Kayaks are crafted to be as safe as possible, offering you balance and stability out on the water. If you’re new to the sport, you can start on beginner vleis (swamps) and lakes before heading out to the ocean. Age is barely a factor – With various levels of difficulty, you set your own pace. Even if you’re older, you can enjoy the health benefits and thrilling experience that kayaking brings. See penguins and seals up close – Aside from the slightly wilder animals you’ll come across in the ocean, the Cape coast is renowned for seals and penguins. The chances are very high that you’ll see at least one of them as you navigate the waves. There really isn’t any downside to trying your hand at kayaking. Take it easy at first so as not to destroy yourself on the first day of your trip. However, know that the experienced guides will get you from novice to wave rider in no time at all. Kayaking is a versatile sport in the sense that it can be a calm steady ride or a dangerous battle with the waves but you have the choice to make what you want of it. This entry was posted in Africa, Travel, Water Sports, White Water and tagged Cape Town, Kayaking. Bookmark the permalink.